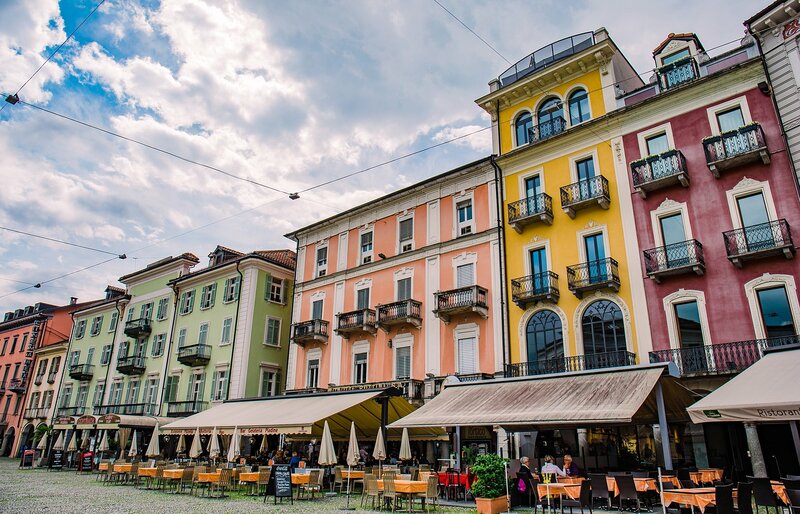 On our first full day in Switzerland, we decided to forego our city tour of Zurich (due to rain) and head south to the Italian part of Switzerland— a cute vacation destination of Locarno. Our kind hostess, Martina, said that the weather on the other side of the mountains is usually better. She also told us about this 17 km (10 miles-ish) tunnel called the Gotthard Base Tunnel that we would drive through on the way that goes through the mountain. 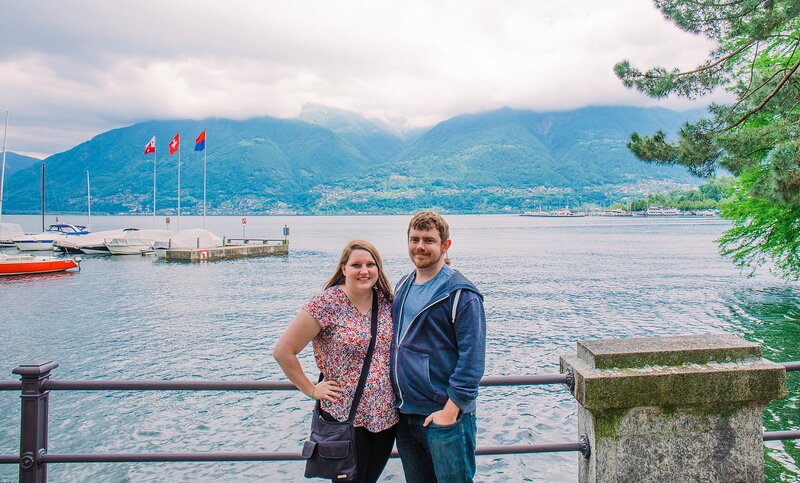 She was right— The weather was significantly better in this beautiful lakeside town! We parked the car in the central parking area, near the Piazza Grande, and walked around the whole day. The region is called Ticino, specifically the Canton of Ticino. A canton is essentially a state within the country of Switzerland. There are a total of 26 cantons in the country. The Canton of Ticino is an Italian-speaking region in southern Switzerland with palm-tree lined lakes and high alpine peaks. Its architecture, cuisine and culture are closely linked with Italy, just over the border. Since this area is heavily influenced by Italy, much of the cuisine options were pasta, pizza, and gelato! Martina and Matias (our hosts) suggested that we enjoy some gelato when we were down there. 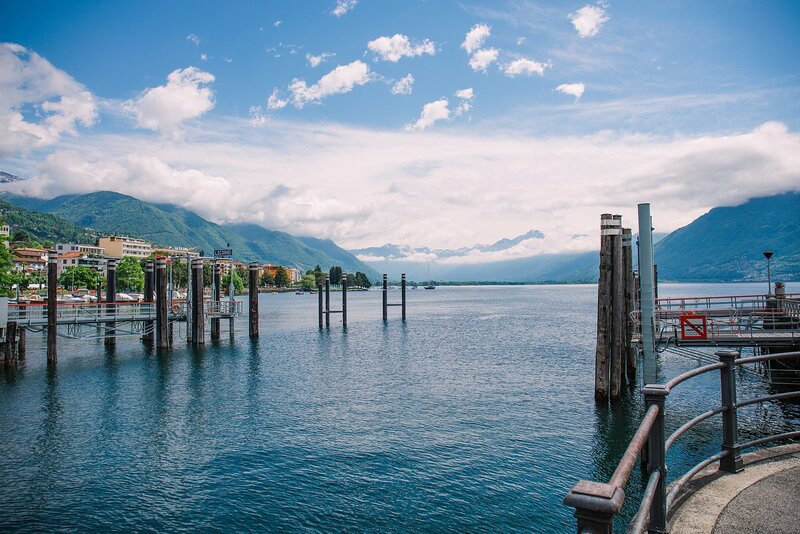 There was a stand near the pier of Lake Maggiore with a fantastic view of the mountains. When we asked the gentleman to try a couple different flavors, he laughed a little bit and said, “You are American. Tasting is an American thing.” I guess he thought it was a little odd, but we didn’t realize it was a cultural difference. We sat down on the steps down to the lake, watching the boats and enjoying the view and warmth of the sunny day. For our next stop, we took the inclined railway, Locarno Funicolare up to Orselina, and then took the cable car to Cardara. Another option would be to continue all the way up to Cimetta from Cardara. 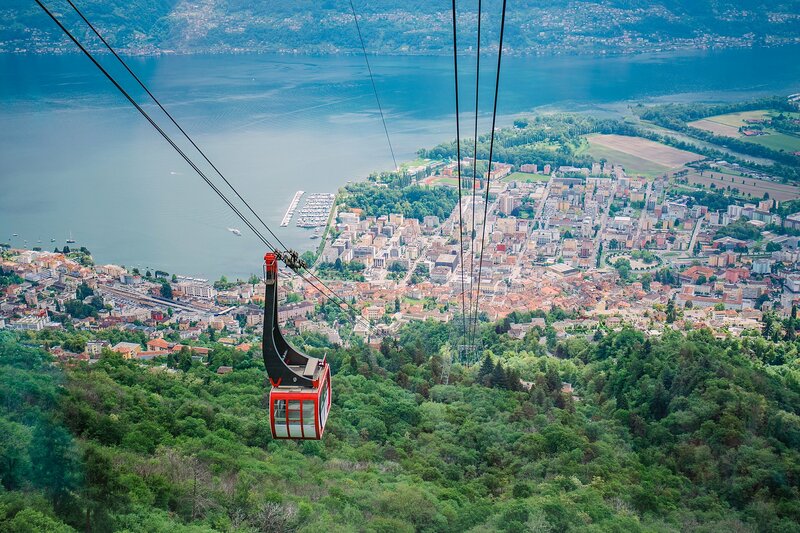 From the cable car, the views of Lake Maggiore and the surrounding valleys and mountains were much better from the cable car. As we reached the top, we entered a cloud and most of our view was obscured. We were unsure if we should continue up to Cimetta given the cloudy weather that had moved in, so we decided to enjoy the views we had seen from the cable car and wander around the area. At the Orselina stop, at the bottom of the cable car is a short walk to the Sanctuary of Madonna del Sasso. 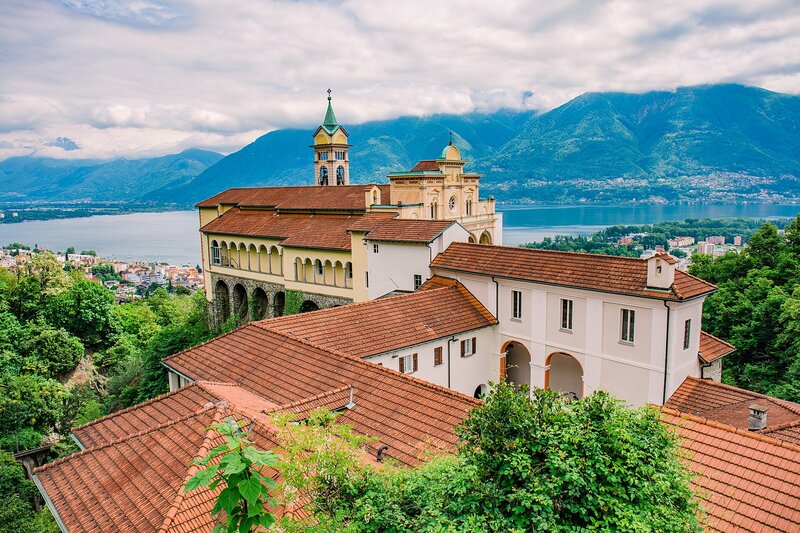 The Sanctuary of Madonna del Sasso is located above Locarno in Orselina. The founding of the sanctuary goes back to a vision of the Virgin Mary that the Franciscan brother Bartolomeo d’Ivrea experienced in the night of August 14, 1480. The interior is ornate, and a platform has views of the city. 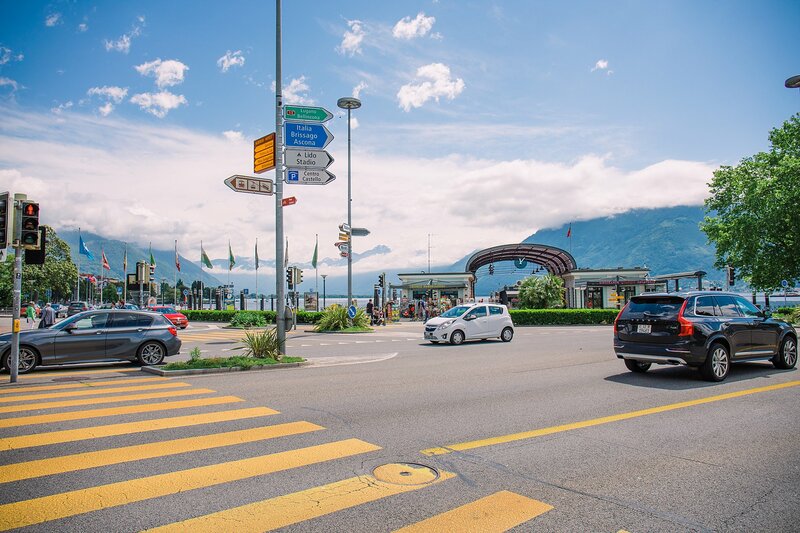 It is a main attraction of Locarno with fantastic views of the city, the lake and the mountains. Walking around all day, seeing authentic Italian pasta made me crave pasta, so we landed at Ristorante Sensi for a lunch. We were perusing the menu, entirely in Italian, trying to figure out what the words meant. When the waiter came over, I started trying to read off what each of the items was to confirm my understanding. Suddenly, he says he has an English menu and brings it back for us. 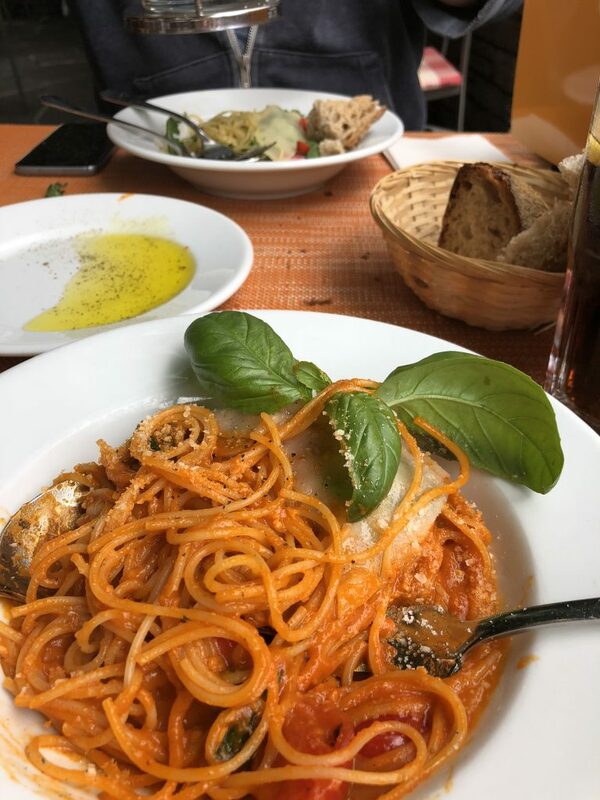 We got spaghetti al pomodoro and the spaghetti all’aglio, olio, e peperoncino, the smaller portions (piccola porzione). They were a perfect size, though I could eat Italian food all day long without complaint. We ate on the patio, enjoying the lake and warm weather, and then wandered to the Piazza Grande. 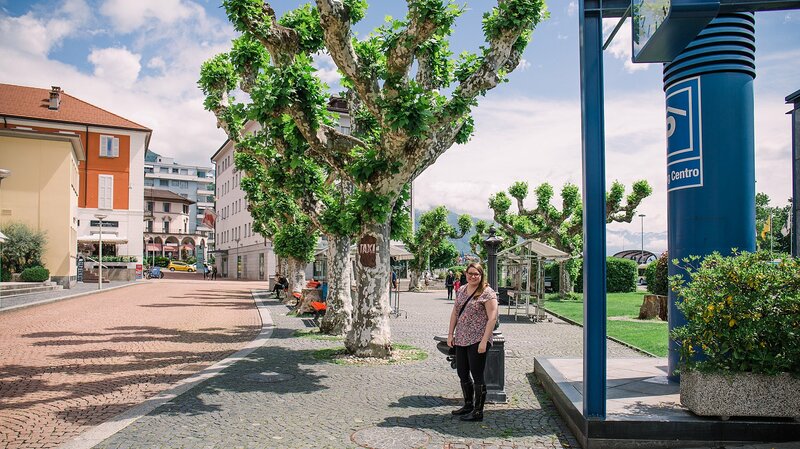 For our last stop before driving back to Zurich, we went to the Piazza Grande. This is the part where I most felt like we were in Italy. The grand plaza with cobblestone streets with colorful buildings lining the borders of the plaza. We walked through the market area where vendors were selling souvenirs, food, and drinks. The sweet sugary smells were overwhelming as one of the vendors was cooking almonds and sugar on the spot. 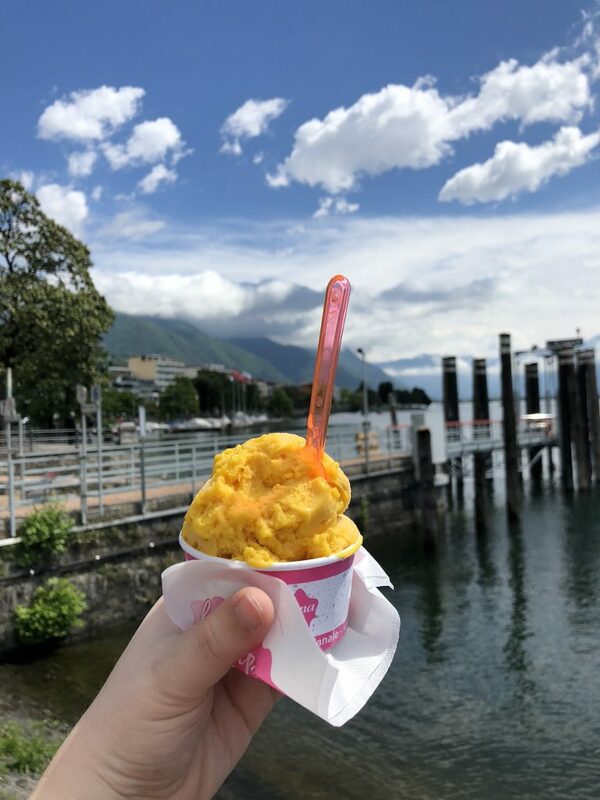 We got another small scoop of Gelato and wandered around the area taking in the smells, sounds and sights. We returned to the hotel back in Zurich, and ate dinner at the restaurant. 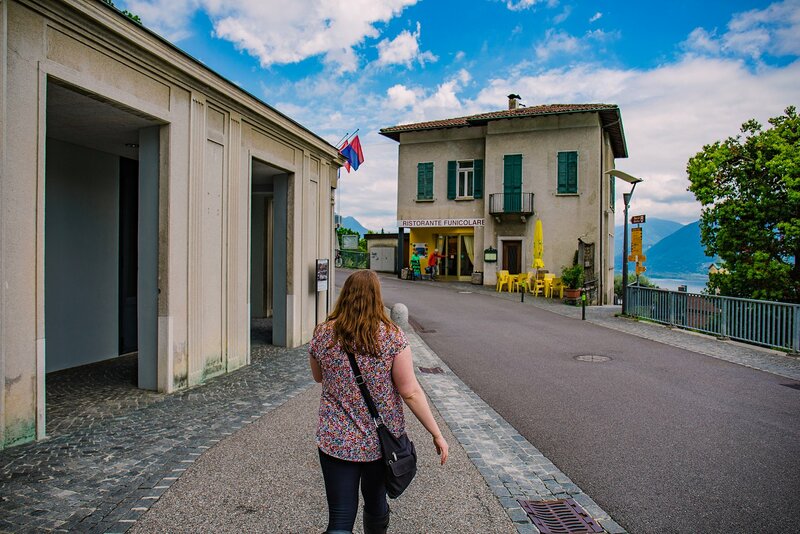 When they asked us if we wanted water, we said yes… but later found out that a water jug cost 9.50 CHF, which was more expensive than beer! A note— Switzerland is generally very expensive. We are trying to spend our budget on experiences (paragliding, train rides to epic views, castles, etc.) rather than our meals and lodging. I will breakout the costs in a separate post. The food looks delicious. Can stand-up paddle boarding be possible on that lake?